(NaturalNews) We have learned a lot over the years when it comes to genetics and how they affect our health. The previous dogma that still holds strong is that we have but little opportunity to express our genes in a different way, so we are bound to our history and will suffer the consequences if we are genetically inferior. However, recent research is showing that genetics play a much smaller factor in our health than previously believed and are simply a predisposition to particular illnesses, not our fate. Epigenetics is the study of molecular mechanisms by which our environment controls our gene activity. These patterns of gene expression are governed by our epigenome, which acts as a mechanism that tells our genes to switch on or off. This epigenome responds to various signals that come from inside the cell, from neighboring cells, or the outside world. While each of us have our own hardwired and unchangeable version of genetic code, epigenetic factors like our thoughts, nutrition, social activity, exposure to microbes and environmental toxins, and our level of physical activity can determine which genes are switched on and off. This in turn triggers signals of disease or health. Now, if DNA is affected by an environmental factor such as heavy metal pollution, the impact can be passed down through generations. In other words, it becomes inheritable. So, if your mother was raised in a highly polluted environment, the genetic alterations she incurred could be passed down to you, and increase your risk of disease associated with this genetic modification. This is why it is imperative to understand that the lifestyle choices we choose prior to having children should be clean and nurturing, so we don't continue to weaken the genetic profile of future generations in our family. So how do I change my genes and my fate? The good news is that we are not stuck with the genetic hand we were dealt. In fact, most genes are not set in stone and are modifiable. Some are not, such as body frame and hair and eye color. There are also certain genes we may be born with that can cause us to be disabled, to have a serious childhood disease, or even to die young. But these unchangeable genes represent less than 2% of our genetic makeup. The fact remains that most of our genes are modifiable and can change daily and even hourly based on our subconscious thoughts, the food we eat, the air we breathe, the company we keep, and the amount of activity we engage in. Bathing our genes in the right environment (clean food, abundant nutrients, positive thoughts) may turn the genes for good health on and the genes for chronic disease off. We could potentially turn off oncogenes that promote breast cancer and prostate cancer and even genes that cause inflammation and oxidative stress. So the good news is that a gene with defective epigenetic coding could very well be reprogrammed to reestablish a healthy pattern and continue to function. So, it is never too late to take charge of your body. Health lifestyle habits that embrace good, clean nutrition, pure air, positive thoughts, and proper social and physical activity can help express your genes in a manner that promotes good health, when previously they may have encouraged bad health. A lot of it is in your hands. 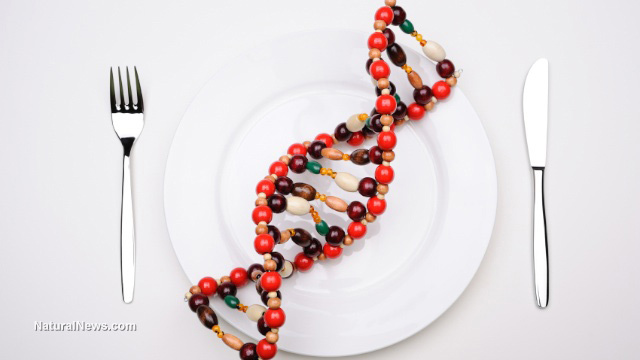 For an inspiring story of changing thoughts, nutrition, and the external environment so that genetics could be expressed in a more healthy way, check out Advice From A Survivor - How To Live A Healthy Life. Also, if you're looking to improve your health, check out 8 Easy Steps To Health.